Why Nago city elected a new mayor who is promoting Henoko New Base. After a Mayor of Nago changed, everyone who want to stop Henoko U.S. new base construction dissapointed. Because last 8 years people chose Mr Inamine who strongly oppose the New Base construction. The new mayor was suppotred by Japanese government (LDP). When the election time, He Mr. Togucihi never mentioned about Henoko. It was a strategy to not talk about base issue. but only economy matter. Because of tirering of base issue for Nago people. People did wanted to hear something but no Base issue. Japanese gov. put 120% power to make Mr. Toguchi win. An hundred of the members of the national diet came to Nago. I need to mention that under age of 50's voted for Mr. Toguchi. Over 60's voted for Inamine. It shows that people who know the war time chose Inamine. And also people who see the news and get infomations by smart phone, internet chose Mr Toguchi. Toguchi side was very skilled about using SNS to catch young people's interests. So, what Mr. Toguchi can do is to give permisions to Japanese gov. which Mr Inamine didn't. End of this year, there is a election for Okinawan governor. Now, the governor Onaga strongly oppose the Henoko New base construction. 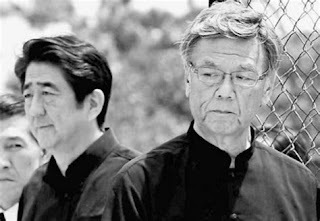 However, an atmosphere that surrounds Okinawa is not very supportable. How people up lift the atmosphere in Okinawa is important. At a same time, young power in Okinawa same as Japan is stay at under ground. I understand that U.S. base Issue and National politic is too big issue to face. Somehow, people got to do something to not be treated like colonized people. 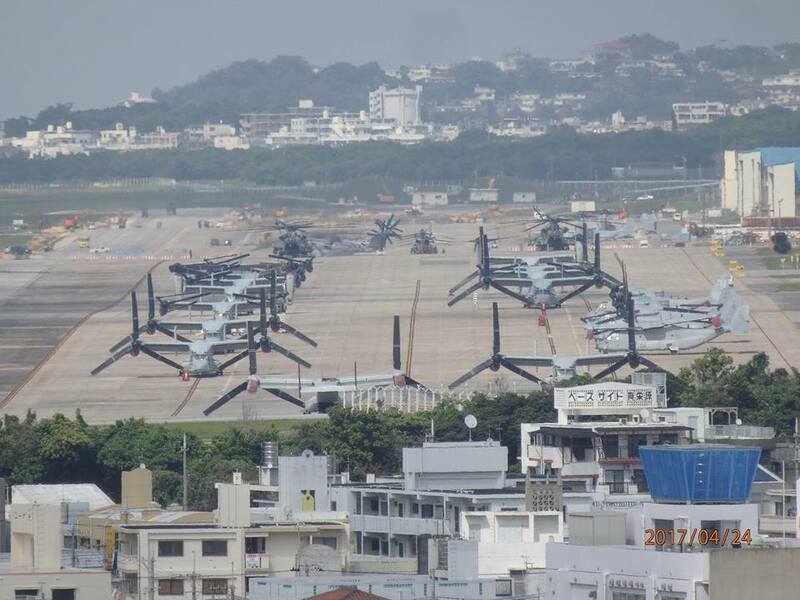 Futenma USMC base at Ginowan city. This base is planed to relocate to Henoko, Nago city.